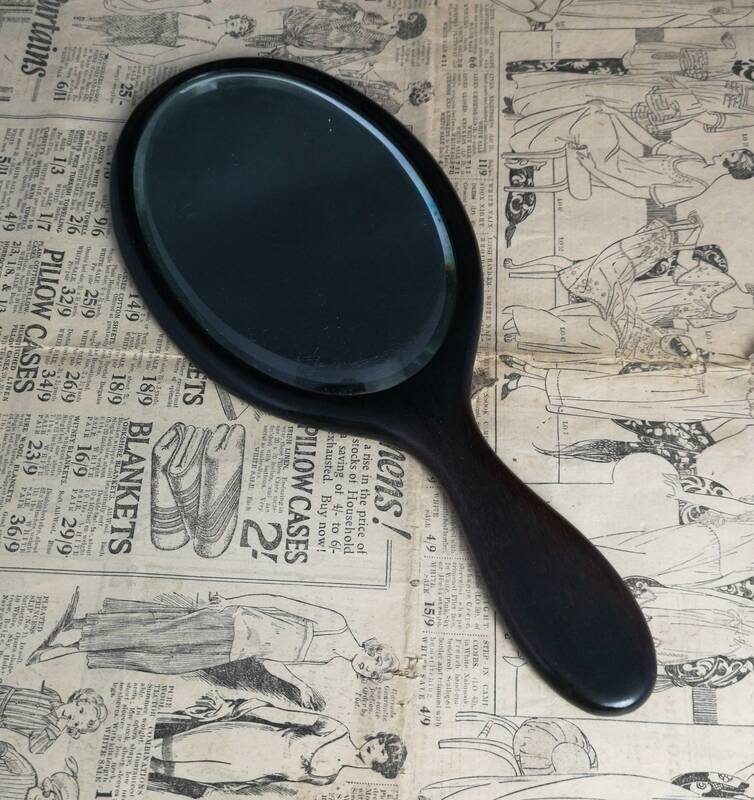 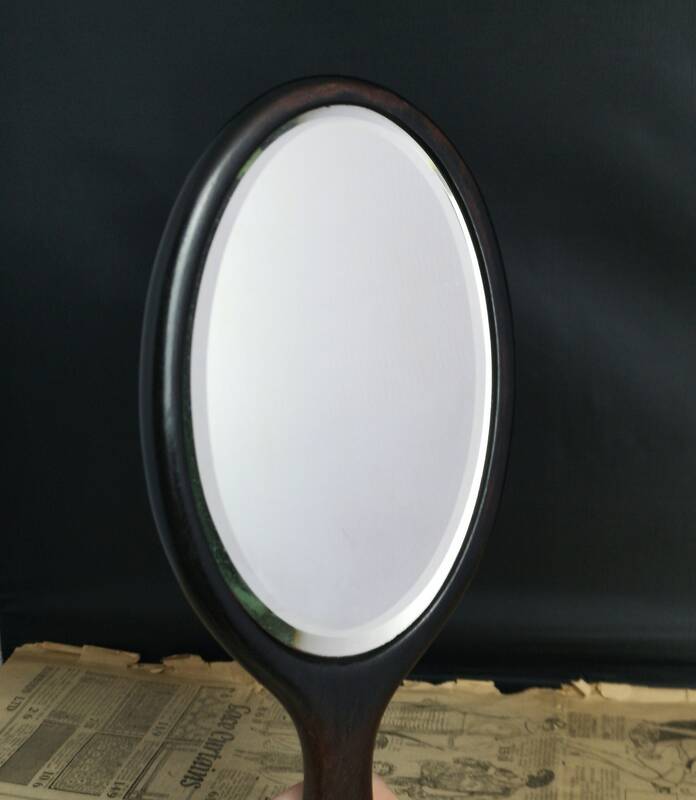 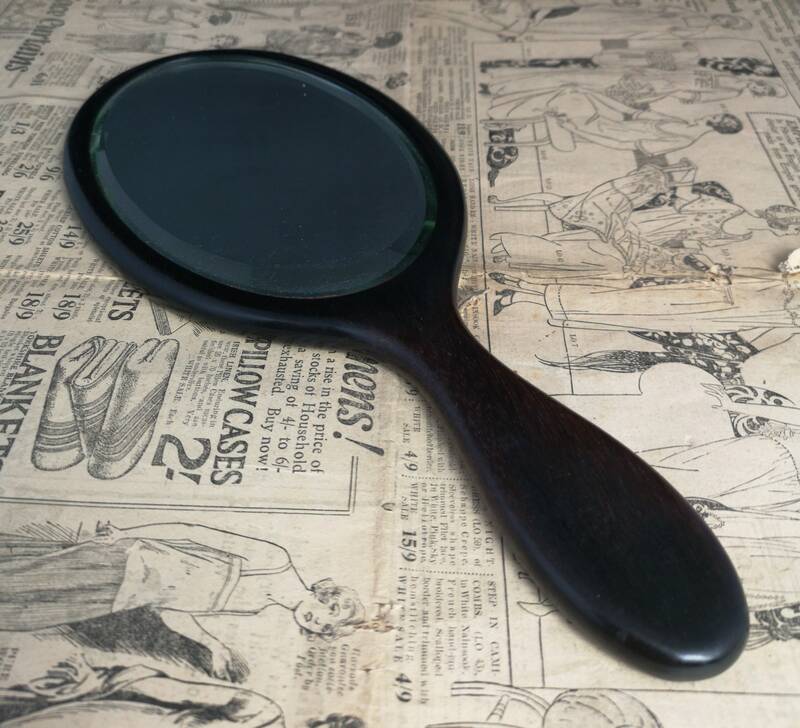 A nice antique real ebony hand mirror. 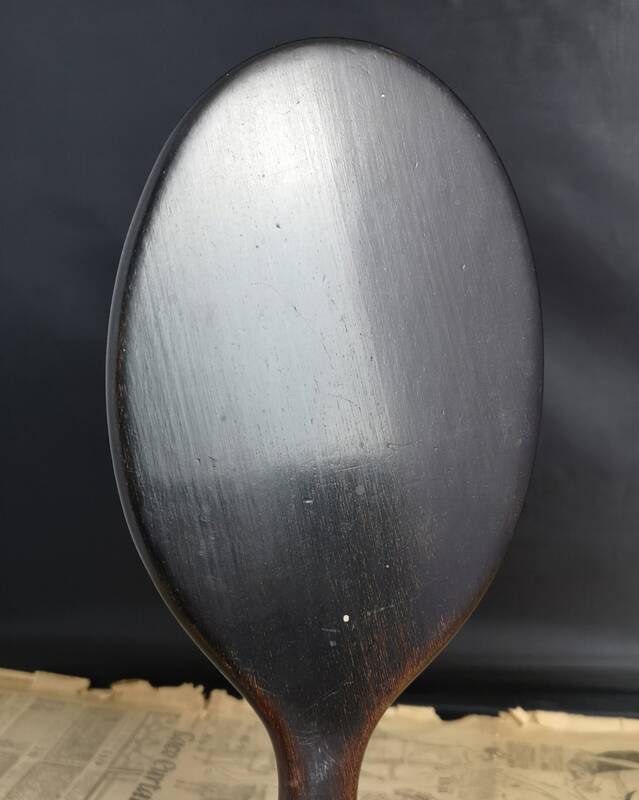 It is in nice condition, the glass is very thick and has no chips or cracks, it is a good size and is fairly heavy. 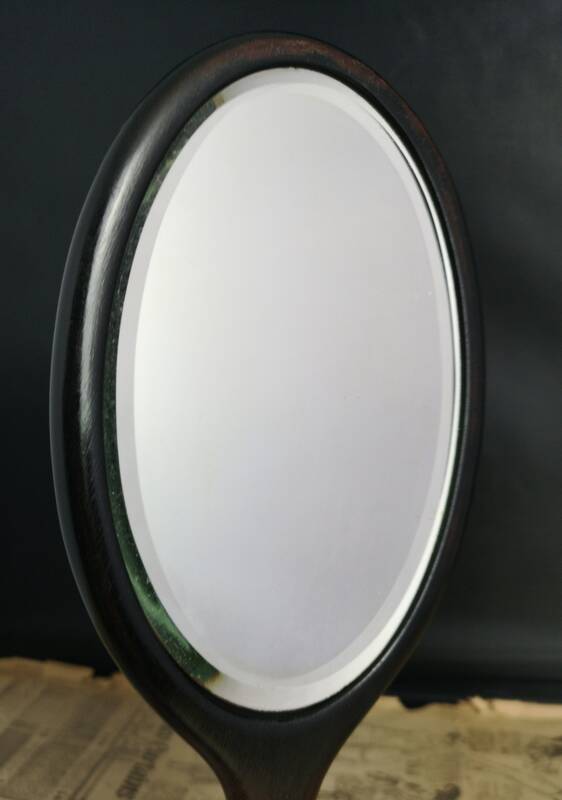 It would have been part of a set but is now all alone. 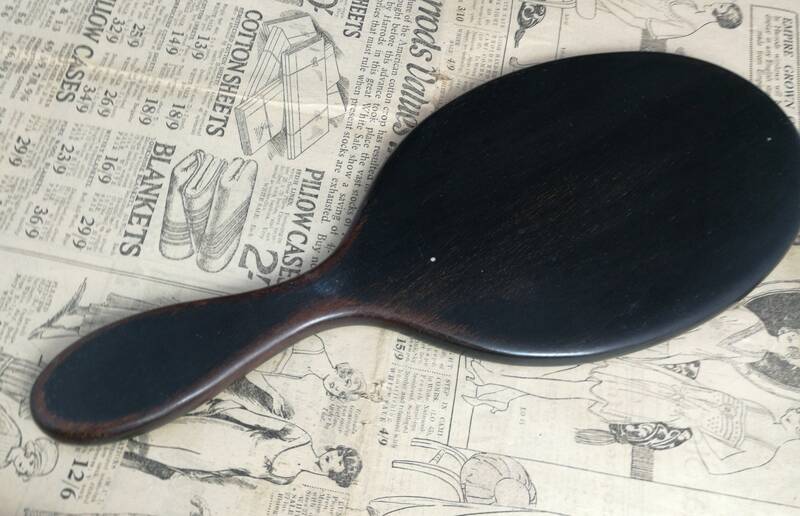 Made in England in the Edwardian era. 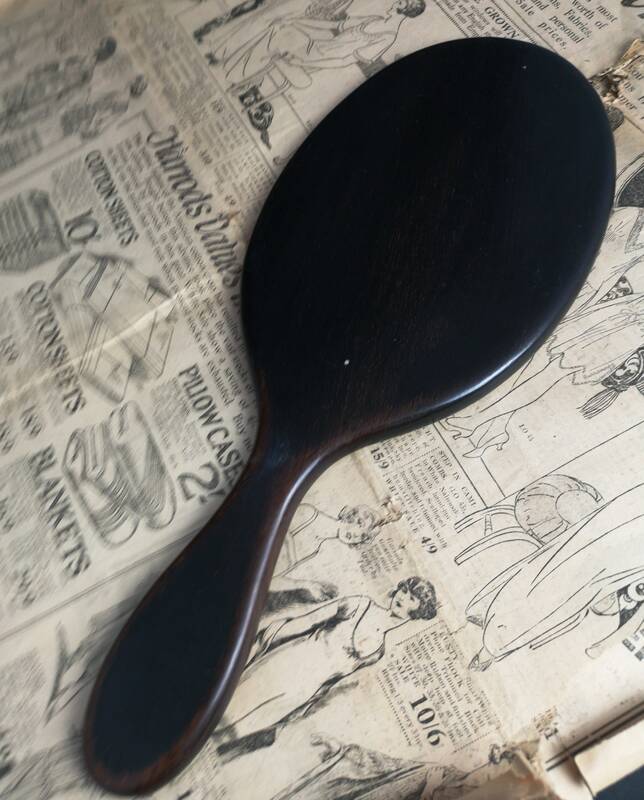 Approx 11.5" length and 5" width at the widest point.